Chief Executive Officer and President, Realogy Holdings Corp.
Ryan Schneider became Realogy’s Chief Executive Officer effective December 31, 2017. 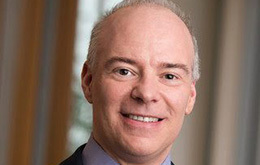 He joined the Company as President and Chief Operating Officer in October 2017 after nearly 15 years of senior leadership experience at Capital One Financial Corporation. He is a member of Realogy’s Board of Directors. From 2007 to 2016, Schneider was President of Capital One’s Card division, its largest business, where he oversaw all of Capital One’s consumer and small business credit card lines in the United States, U.K. and Canada. He managed a staff of more than 10,000 employees and reported directly to Capital One’s Chief Executive Officer. Schneider joined Capital One in 2002 and held a variety of leadership positions within Capital One through 2007, including Executive Vice President and President, Auto Finance, which did the majority of its business with franchised auto dealers, and Executive Vice President, U.S. Card. He also served as a director of Capital One Bank (USA), National Association. Schneider has substantial experience in public policy and regulatory affairs, including meeting with a sitting President of the United States and testifying in front of a Senate committee. Previously, he was a partner at McKinsey & Company, where he specialized in financial services clients with an emphasis on consumer credit and insurance. Schneider received a B.A. in Economics from Williams College and his Ph.D. in Economics from Yale University.